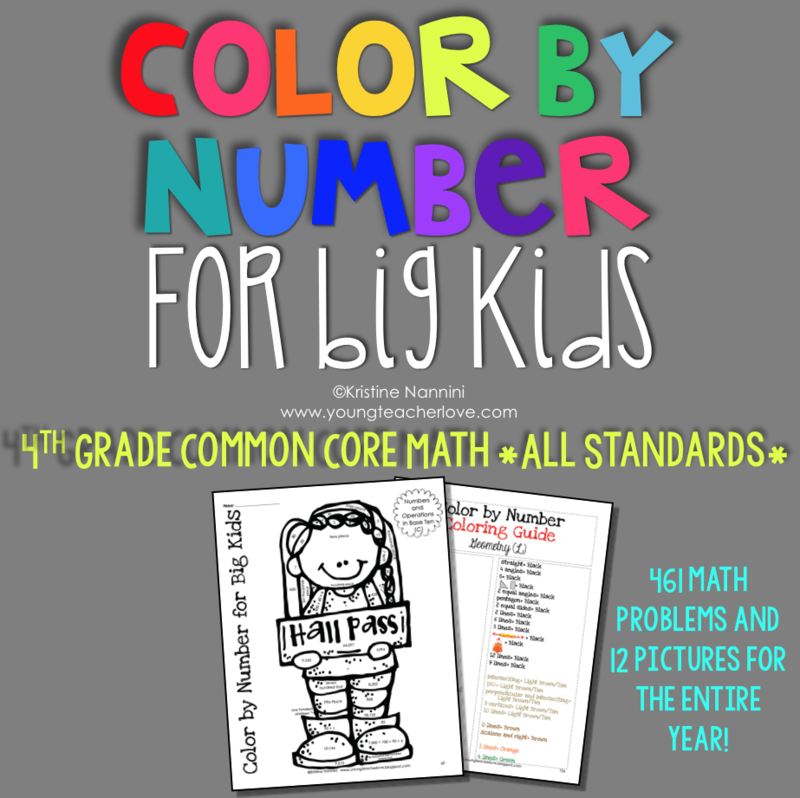 Are you looking for a fun test prep idea for 4th and 5th grade math? Switch things up with a Tic-Tac-Toe relay race during your test prep or testing time. 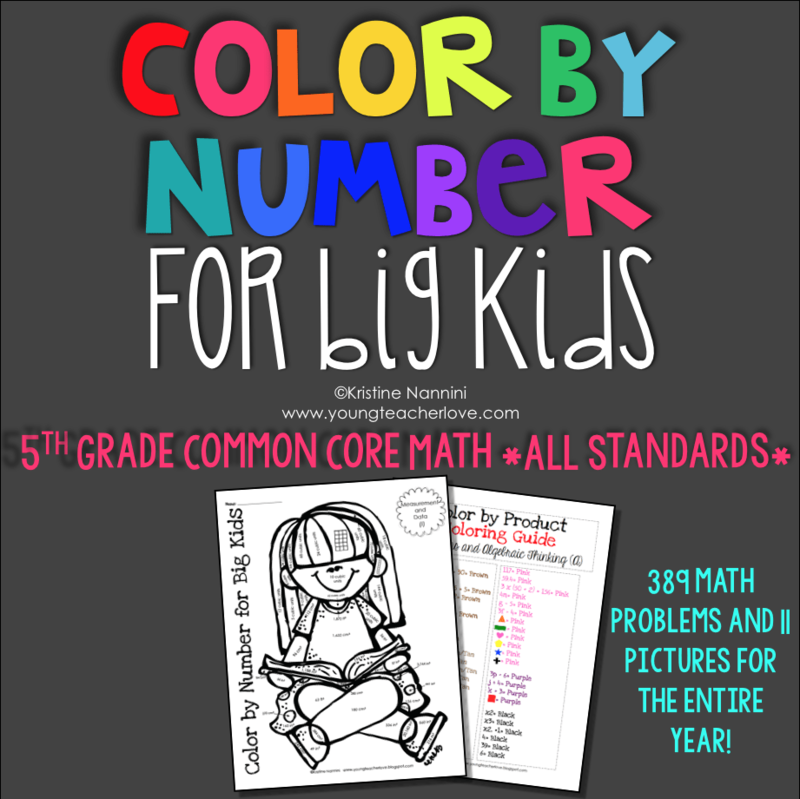 You can use my Color by Number for Big Kids resource that I have for both 4th grade and 5th grade or any set of task cards to play this fun game! This is a great game to even take outside on a warm day when your kids are getting a bit squirrely, or you can even play it in the gym! 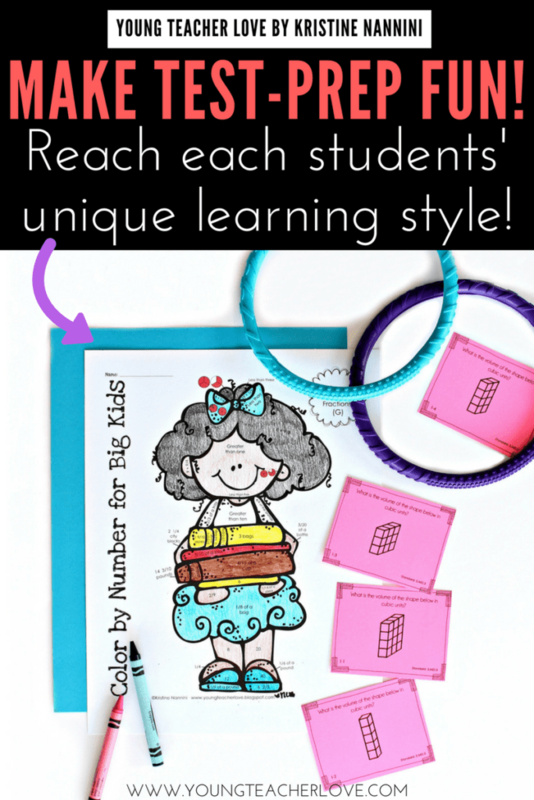 To play Tic-Tac-Toe, all you need is large hula hoops (or some other item for students to be able to get three in a row), balls (or different colored objects for the X’s and O’s), Color By Number for Big Kids task cards, and white boards with markers for students to solve the problems. 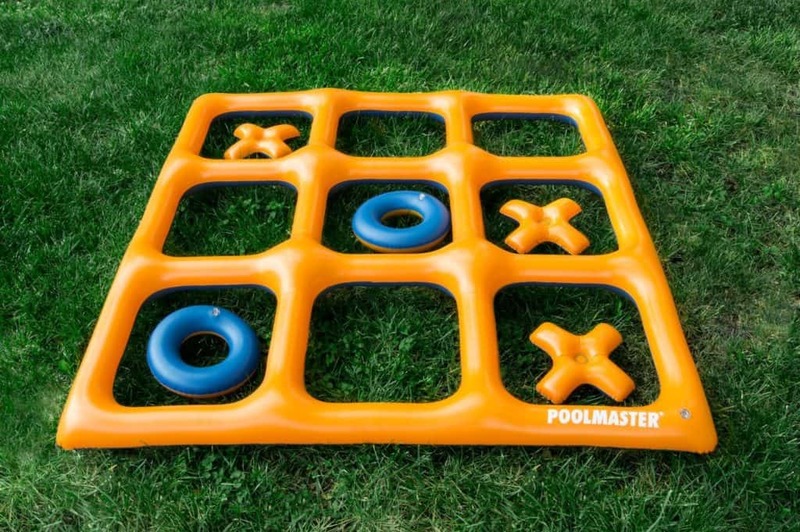 #goals is this amazing inflatable Tic-Tac-Toe game! This would be great to use instead of the large hula hoops! Below is the link to this inflatable. 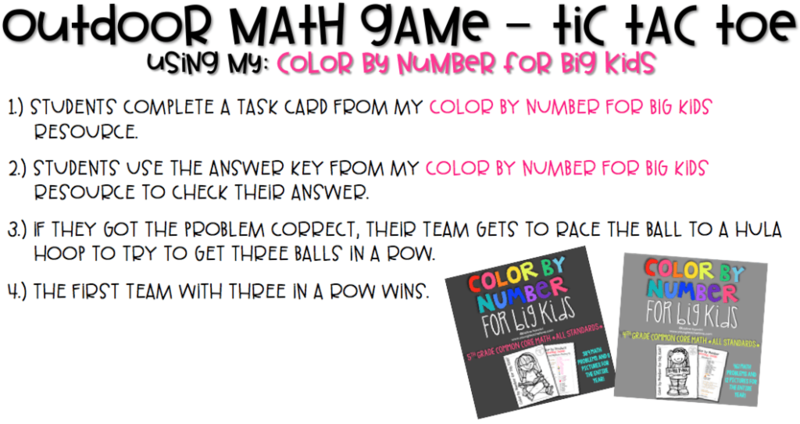 This fun test prep idea comes from @miss5th, and she even shared a video of her students using my Color By Number for Big Kids to play Tic-Tac-Toe outside! 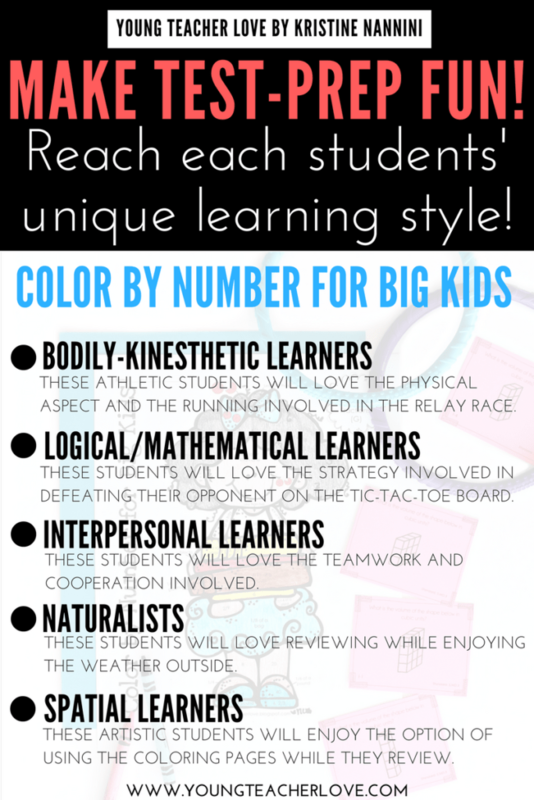 In addition to being a fun way to test prep, this Color by Number for Big Kids relay race and tic-tac-toe game will help you teach to the unique learning styles and intelligences of your students. Below, you can see how this game benefits each students’ unique learning style. Click HERE or the button below to check these resources out! It sounds so great! 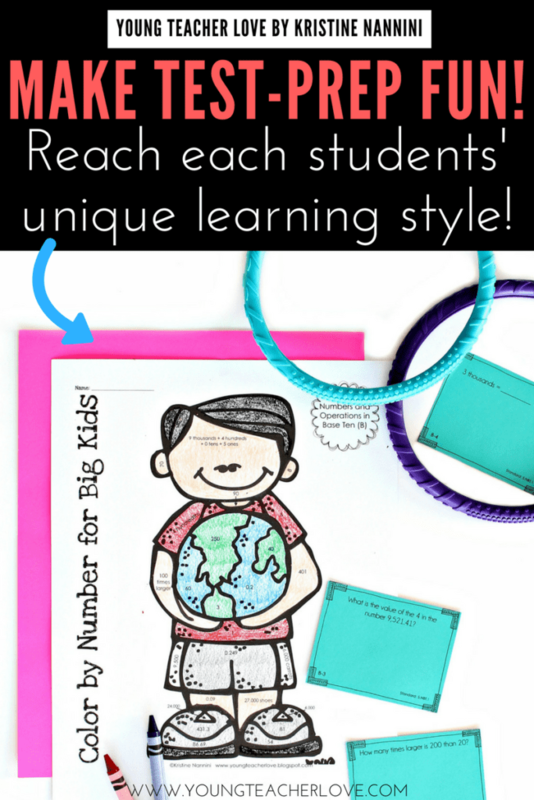 Thank you for sharing these cool ideas!